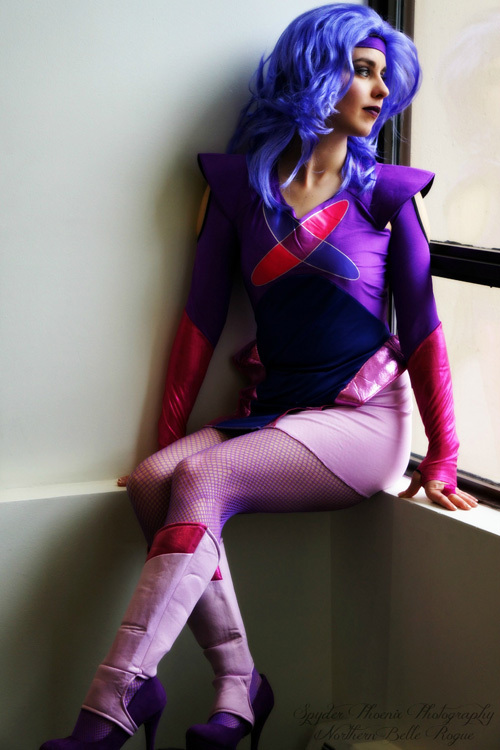 "Recently, I was lucky enough to be part of a Jem and the Holograms group cosplay. I was cast as the sophisticated holographic computer, Synergy. 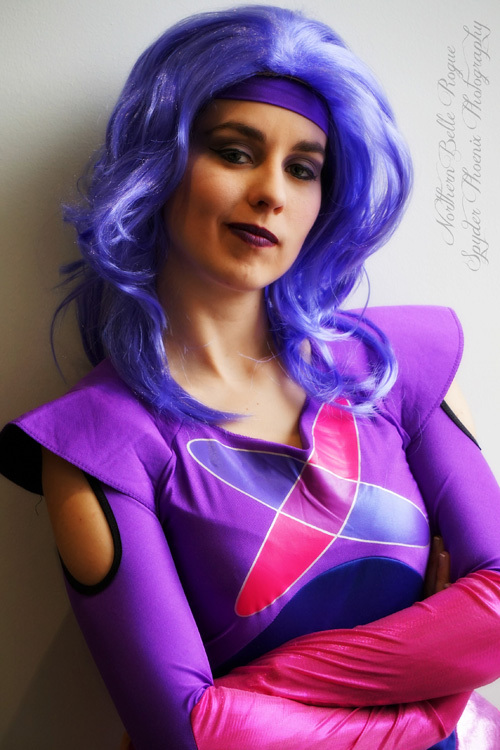 The costume was provided by my friend Kryptonian Cosplay and I really love the bright pinks and purples of the 80's. Unfortunately, due to time constraints I was not able to paint my skin purple. 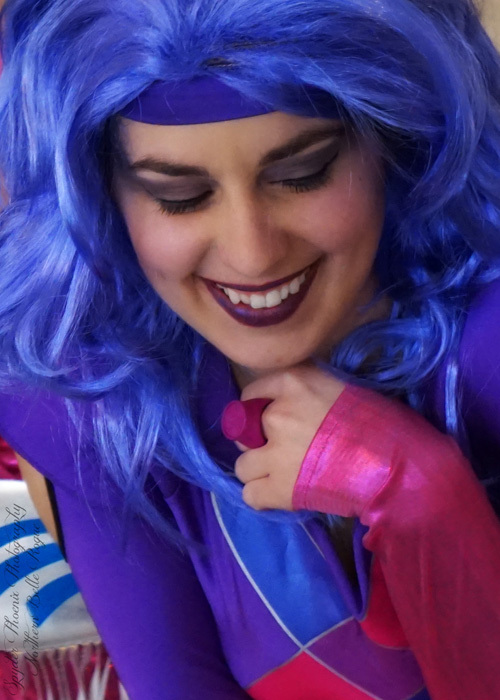 You may also notice in these photos a hint to a new cosplay photo set that I'll be shooting with ArtistiCurves. 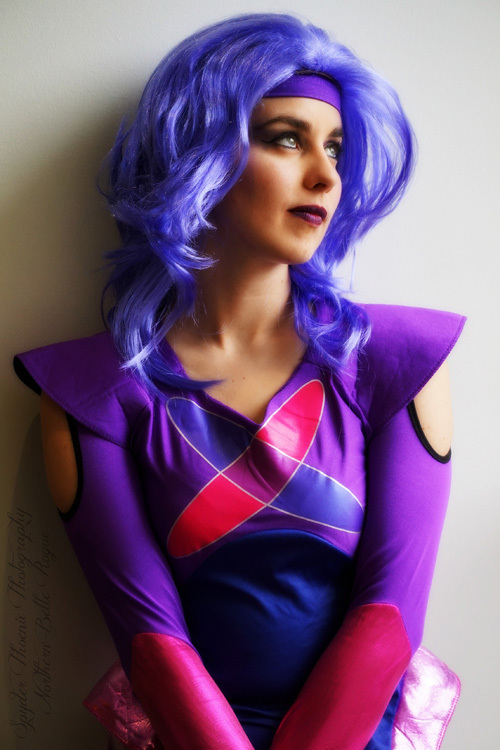 Of course big thank you's go to Cajun Cosplay for shooting this. It was a lot of fun playing such a vibrant character, I hope y'all enjoy it. Showtime Synergy!"